I guess anyone who has been following my blog for a little while might have noticed that I am a bit of a tool geek as well as a fiber geek. I do rather tend to covet beautiful things, and to me, beautiful things are also invariably, functional things. Over the last year I have been developing something that is taking form in my mind as an approach to weaving, freeform weaving, but ‘my’ way. While I love the idea of complete and spontaneous ‘free’ weaving, I am also story oriented and I need a reason and a purpose to drive my creativity. This tends to come through in my weavings, which generally begin in quite a structured and planned, intentional way. Its only ‘after’ I have developed my ideas to a point where they are transferable into something concrete and tangible, that the freeform comes into it. By then I have already made decisions about (and even spun specifically for) the colours and textures I want to use, and I have a general outline in my mind of what I want to create. I dont make a pattern, but I do make a plan and sometimes sketches. Later this year I will be sharing with you my design methods, as I think I have developed a process for this that might be very helpful to others too. I collect up the tools I need. 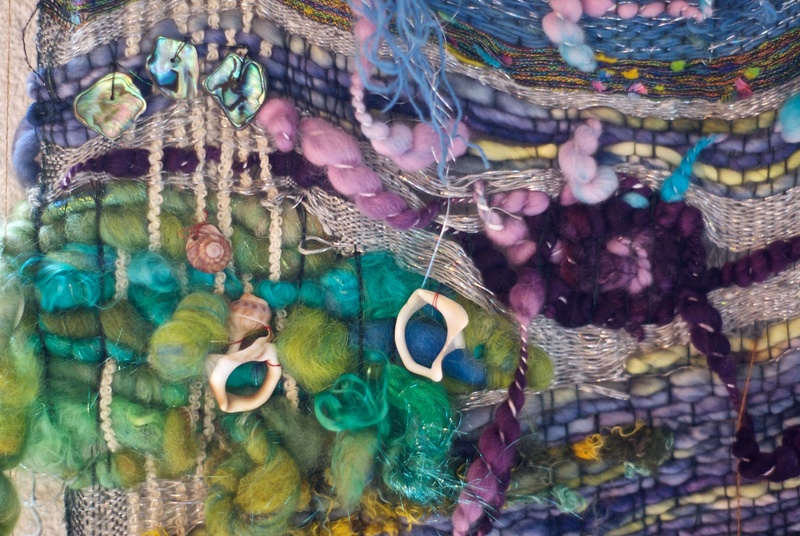 And when I think of ‘freeform’, in my mind, this doesn’t just refer to the idea of not using a ‘pattern’, it also refers to my rather eclectic approach to the techniques I use, drawing from different areas of textile art, and it also refers to to my gathering of equipment and tools needed to create the design. This is part of the ‘WoolWench Approach’ to weaving that I am currently developing. I think its really fun, and of course, it feeds my interest in tools and things I can use to create my visions. So in todays blog I wanted to share some of my newest tool acquisitions with you, and these are really special. These are some handmade Tapestry Bobbins, created and finished to an amazing standard by Ian of The Wood Emporium in the UK (the rather exotic sounding Isle of Wight to be exact) These ones are Ebony, with brass tips. They have the most amazing weight to them, and the hand polished finish is just beautiful, not only to look at but to have in your hands as well, just a joy to use! On Ian’s website he also has other shapes and sizes, and choices of quite a range of beautiful wood types as well. Ian doesnt only make Tapestry bobbins, he also makes a huge range of drop and supported spindles, as well as lace bobbins too. He hand-makes everything to order, so it does rather feel like getting special treatment when the parcel arrives with these gorgeous items knowing they were made especially because you asked for them 🙂 Ian has a background in making beautiful things, he attended West Dean College in Sussex where he learned the art of making early stringed musical instruments, and it was there that the seeds of his current business were sown. He told me that one tea break, he happened to mention to the tapestry weaving tutor that he did a bit of wood turning, and by the next tea break she was showing him a small turned item. I guess it did rather resemble a wooden spike because his first thought was that he didn’t realize they had a problem with Vampires in West Dean. Once that was straightened out, he started making tapestry bobbins for the college weaving students, and he still supplies the West Dean craft shop with equipment. I have to say, my ebony bobbins are probably about as far as we could get from Vampire killing stakes, however, during the forecast zombie apocalypse they could be an invaluable addition to any fibery goodness arsenal (read my article on defending yourself here). I discover your blog with a great pleasure. All is very exciting! 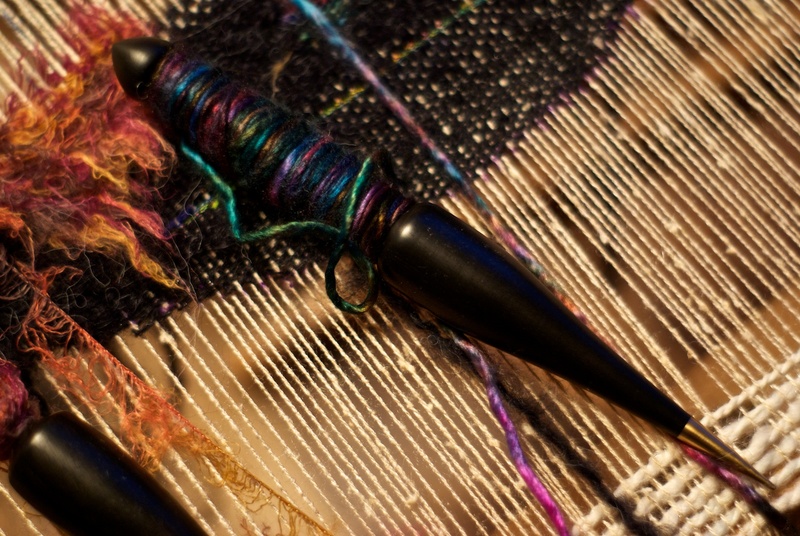 I love the idea of freeform weaving-look forward to seeing more! Wow! I love getting packages but to get something like this is even better! I love your freeform weaving as well as your philosophy! Cant wait for your posts 😀 and pictuuures! 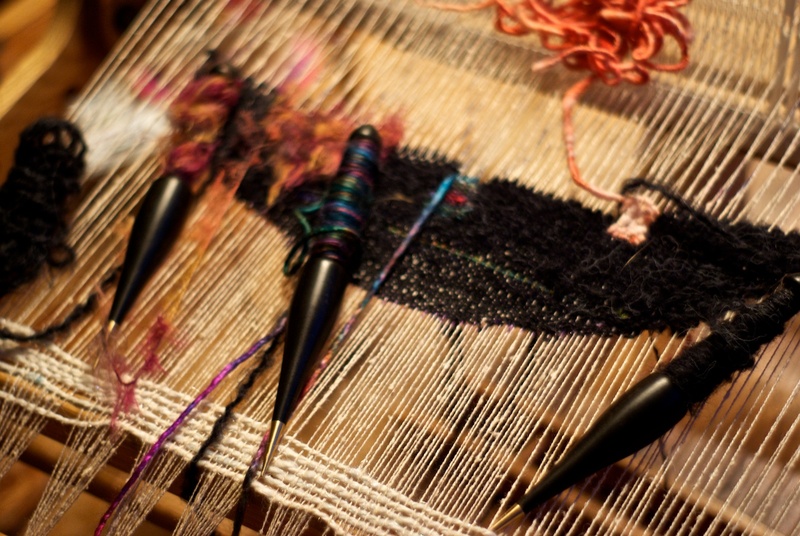 I love your weaving and I am so thrilled and excited that you’re going to do more posts on it!!! I love to see what you’re working on. Thanks Rhonda, I will for sure add more progress pictures and posts on this, glad you enjoyed it! Fascinating work. I am looking forward to seeing where you go with this.